Melody Green Blasphemes The Name Of Keith Green! Keith Green had a Jewish background, but he grew up reading the Christian New Testament. He called it "an odd combination" that left him open minded but deeply unsatisfied. His spiritual journey led him to drugs, South Asian mysticism, and "free love." After experiencing what Keith described as a "bad trip," he abandoned drug use and became bitter towards philosophy and theology in general. Keith would later state, however, that in the midst of his skepticism he felt that God "broke through [his] callused heart," and he became a born-again Christian. After receiving Jesus Christ as his Lord and Saviour, Keith used his musical talents to answer the high calling of Christian service. He turned his music into a ministry. During his concerts he would often angrily exhort his listeners to repent, and commit themselves wholly to following Christ. The initial tone of Keith’s ministry was largely influenced by Leonard Ravenhill, who pointed Keith to Charles Finney, a nineteenth century revivalist preacher who preached the law of God to provoke conviction in his hearers. Although Keith was killed in a tragic plane crash in 1982, his legacy lives on. He was a man radically transformed and wondrously used by the Spirit of God to touch countless thousands of lives, if not millions. Through his music ministry, his teaching, and the Last Days Ministries – a work both he and his wife Melody began in 1979 – Keith boldly challenged the multitudes to completely sell out to the cause of the Gospel of Jesus Christ. Only those who cannot handle the uncompromising pursuit of truth will have a problem with "The Catholic Chronicles". There is probably no better, readable and concise introductory work in defining the differences between the Protestant and Catholic beliefs than this series by Keith Green. They are factual, balanced and worthy of consideration as the Protestant/Catholic difference perseveres. However, as directed by Melody Green, the Last Days Ministries publication of "The Catholic Chronicles" was discontinued in the early 1980's following Keith’s death. Part 2 - The Sacrafice of the Mass - What Does it Mean? Part 4 - What did "Vatican II" Really Change? Now, without a doubt, “The Catholic Chronicles” was a God-ordained and God-inspired work of the Holy Spirit through an obedient servant of the Lord whose name was Keith Green. He wrote it, he published it, and he meant for it to be available for the whole wide world to read! So, why in the world would his widow (Melody Green) try to make “The Catholic Chronicles” do a disappearing act after Keith’s death? Since he was cursed who rebuilt Jericho, much more the man who labours to restore Popery among us. In our fathers' days the gigantic walls of Popery fell by the power of their faith, the perseverance of their efforts, and the blast of their gospel trumpets; and now there are some who would rebuild that accursed system upon its old foundation. O Lord, be pleased to thwart their unrighteous endeavours, and pull down every stone which they build. It should be a serious business with us to be thoroughly purged of every error which may have a tendency to foster the spirit of Popery, and when we have made a clean sweep at home we should seek in every way to oppose its all too rapid spread abroad in the church and in the world. This last can be done in secret by fervent prayer, and in public by decided testimony. We must warn with judicious boldness those who are inclined towards the errors of Rome; we must instruct the young in gospel truth, and tell them of the black doings of Popery in the olden times. We must aid in spreading the light more thoroughly through the land, for priests, like owls, hate daylight. Are we doing all we can for Jesus and the gospel? If not, our negligence plays into the hands of the priestcraft. What are we doing to spread the Bible, which is the Pope's bane and poison? Are we casting abroad good, sound gospel writings? Luther once said, "The devil hates goose quills" and, doubtless, he has good reason, for ready writers, by the Holy Spirit's blessing, have done his kingdom much damage. If the thousands who will read this short word this night will do all they can to hinder the rebuilding of this accursed Jericho, the Lord's glory shall speed among the sons of men. Reader, what can you do? What will you do? Spurgeon said, “we must instruct the young in gospel truth, and tell them of the black doings of Popery in the olden times”, and that’s exactly what Keith Green did through “The Catholic Chronicles”! So why do you think Melody Green would be so foolish as to aid in the rebuilding of the Roman Catholic Religious System (Popery) and thereby receive God’s curse upon her life? Cursed be the woman before the LORD, that riseth up and buildeth Vatican City! Now that’s a hard word! But is the Roman Catholic Religious System really that bad, you might ask? Is that wicked Jericho of Biblical times a fair comparison to the Vatican City of today? A common practice in Egypt, Greece, and other nations of the Middle East and the Mediterranean area, where the religion of Babylon had spread, was to erect an obelisk in front of the temple. This symbolism for the phallus associated the religion with the fertility cult of Nimrod. The temples of Diana, the Ephesian counterpart of Nimrod's wife, the queen of heaven, was supported by the temple prostitutes. According to Ezekiel 8:1-6, this abominable symbol was erected in front of the temple at the north gate. Ezekiel referred to it as the "image of jealousy." We can be certain that it was the Babylonian symbol of Nimrod because we read in verse fourteen that the prophet saw a woman at the temple weeping for Tammuz, the son of Nimrod. Emperor Caligula was one of the most cruel and degenerate of the Caesars of Rome. According to the book Babylon Mystery Religion, Caligula transported an obelisk from Heliopolis in Egypt to the section of Rome which was called his circus. This hill is the place where the Vatican was later built. 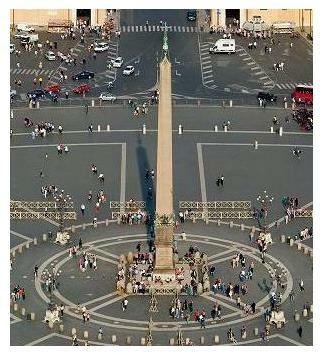 The obelisk remained in the Vatican until 1586 when Pope Sixtus V had it moved in front of the church at St. Peter where it is today. The pope had decreed the death penalty if it should be broken or damaged. The mover was a man named Domenico Fontana. Forty-five winches, one hundred sixty horses, and a crew of eight hundred men were required to move the obelisk to its new location. When the task was completed, the pope blessed it and the workmen who had moved it under such an extreme penalty for failure. An inscription in the pagan temple of Heliopolis, from where the obelisk came, reads: "I, Dionysus, dedicated these phalli to Hera, my stepmother. " The account of the moving of the obelisk can be found in the Hasting's Encyclopedia Of Religion and Ethics in a section on "phallicism." Déjà Vu – The photograph on the left is from Melody’s 1989 biography “No Compromise”. 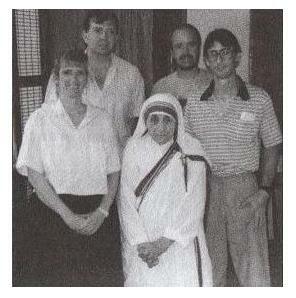 Melody is posing with Mother Teresa – a pawn of the Roman Catholic Church. So what’s wrong with this picture? Do you think that just maybe Melody doesn’t understand the true meaning of the word “compromise”? One day a man named John Dawson accidentally strayed into Keith’s line of fire. John had invited Keith to minister at a large concert in the Anaheim stadium to raise money for “boat people” – refugees fleeing Thailand and Cambodia. A coalition of various groups was working together to pull it off: Episcopalians, charismatics, Catholics, evangelicals, and Pentecostals. John, who was directing the YWAM work in Los Angeles, had seen Keith in concert and believed he would be an important person for the program. Unknown to John, Keith was very concerned at that time about Christians reducing biblical truth to the lowest common denominator for the sake of unity. So when Keith got the invitation, he shot back a strong but earnest letter turning down John’s invitation. Though Keith really wanted to help the boat people, he felt ecumenical gatherings were a compromise, and John was in error for taking part. Keith was impressed when he received back a thoughtful letter from John, who explained that the Lord had been breaking many hearts over the plight of the refugees. John said, “Brother, the cooperative effort to raise money for six different relief agencies to help the boat people is an expression of concern and compassion – not compromise. Well if that’s not enough already, the number of that “Open Your Eyes” chapter was “21”… which in Biblical terms is associated with the “exceeding sinfulness of sin”. Should Christians Judge Each Other? You Betcha! One of the biggest problems in the Church is that some Christians are way too trusting. Jesus warned, "Beware of false prophets, which come to you in sheep's clothing, but inwardly they are ravening wolves." (Mat 7:15). Far too many of the sheep do not heed our Lord's words. Even when believers are cautioned about certain false teachers, they blow off the warning and blindly follow these wolves. You've probably heard this many times: "The Bible says not to judge." What the Bible actually says is that we're not to judge a person's heart or motives. "But he that is spiritual judgeth all things," says Paul, "yet he himself is judged of no man. For who hath known the mind of the Lord, that he may instruct him? But we have the mind of Christ" (1Cor 2:15-16). According to Paul true followers of Jesus are of the same mind. When you have the mind of Christ you have spiritual discernment. Christians (who are walking with Christ) have the authority to judge people's words and actions. How do you know if someone is a false teacher? Go to the scriptures! In 2 Timothy 3:16-17 Paul says: "All scripture is given by inspiration of God, and is profitable for doctrine, for reproof, for correction, for instruction in righteousness: That the man of God may be perfect, thoroughly furnished unto all good works." No doubt some Christians will continue to complain that "judging" is unbiblical and play the Mat. 7:1-3 card: "Judge not, that ye be not judged. For with what judgment ye judge, ye shall be judged: and with what measure ye mete, it shall be measured to you again. And why beholdest thou the mote that is in thy brother's eye, but considerest not the beam that is in thine own eye?" What they fail to understand is that the Spirit of God abides in regenerate Christians. Hence we have the mind of Christ! As for the unbeliever, Scripture clearly teaches that the natural man [unregenerate] "receiveth not the things of the Spirit of God: for they are foolishness unto him: neither can he know them, because they are spiritually discerned" (1 Cor 2:14). So the unregenerate person does not - cannot - understand the things of God. Amazingly, a growing number of self-professed Christians think the things of God are foolishness. The good news is that believers who read and study the Bible are not easily taken in by apostates. But even mature believers can have the wool pulled over their eyes if they stop being Bereans. It was for this very reason that John penned this warning: "Beloved, believe not every spirit, but try the spirits whether they are of God: because many false prophets are gone out into the world" (1 John 4:1). That is God’s Truth! Thank you Jesus! And the truth of the matter with Keith and Melody is that John Dawson (a false prophet) pulled the wool over their eyes. Because it was shortly thereafter, in early part of 1982, that Keith accepted John Dawson’s invitation to visit a number of YWAM training bases in Europe. And it was during this trip that the hearts of Keith and Melody were touched by the volunteers who had dedicated their lives to serve the Lord through YWAM… and they were likewise overwhelmed by the sheer number of lost people needing help but with so few workers to help them. In other words, Keith and Melody took the bait – John Dawson had successfully led them into his YWAM “ecumenical humanitarian trap”. However, it was only a short time later – the 28th of July 1982 – that Keith was killed in a plane crash. They meant it for evil, but God allowed it for good; Keith was taken out of John Dawson’s compromising situation. Youth With A Mission (YWAM) is one of the largest mission groups in the world -- an international parachurch organization with roughly 11,000 permanent and 51,000 short-term and student youth "missionaries" [see note] serving in over 800 operating locations in over 135 countries. YWAM operates with a volunteer staff of about 12,000. It was founded in 1960 by a young Assemblies of God college student, Loren Cunningham, to "train young Christians for short-term volunteer service in evangelism and faith development." YWAM operates as a family of ministries rather than as a very structured, centralized agency, maintaining no international headquarters -- each YWAM location does its own mobilizing and training, and sets its own priorities in carrying out ministry. As part of this "family," YWAM operates two "mercy ships," the Good Samaritan and the Anastasis, both of which provide medical and emergency supplies and conduct discipleship training and evangelism at ports around the world… YWAM also has a strong charismatic influence. Since the late-1970s, YWAM has worked closely with Catholic charismatics. In 1978, a YWAM worker in Austria was praying about whether it was possible for a born-again, Bible-believing Christian to be a committed Roman Catholic and decided it was. Beginning in 1978, YWAM workers in Austria began to cooperate with Catholics there. By 1984, YWAM formally accepted a proposal to work with the Catholic and Eastern Orthodox churches in various projects. YWAM has since played an important role in helping "nascent [emerging] charismatic communities among Roman Catholic youth," resulting in the spreading of new Catholic centers for evangelism training. As can be seen from the preceding information, it was right about the time Keith and Melody were being enticed to join the YWAM movement that YWAM was just beginning to show it’s abominable relationship with the Roman Catholic Whore. At that time YWAM’s “fornication with the Whore” was being done mostly in secret, due to such out-spoken God-fearing men as Leonard Ravenhill and Keith Green. And even though John Dawson was able to pull Keith into the outer fringes of YWAM through his “humanitarian outreach scheme”, the question remains: Would John Dawson have been able to turn Keith from his God-given beliefs as published in “The Catholic Chronicles”? So they killed Keith Green, declared the cause of the crash to be an “overloaded aircraft”, and then proceeded to transform his surviving LDM partner into the “ecumenical Melody Green” that would bring Christians into their perverted religious programs. And of course the “Keith Green 28/28/28 Live To The Nations” Web broadcast was just one of the most recent examples of Satan’s grand delusion to corrupt the Christians of today. Keith Green is with the Lord in Heaven, so let’s now turn our attention to Melody… and likewise focus on her present-day spiritually lost condition. Jill Austin is a dear friend of mine and of LDM. She is also on our Board of Directors. Jill had gotten sick earlier this week and after vomiting for 36 hours, doctors found that her intestines had become twisted, which cut off her blood supply in some areas. They operated last night, not knowing if she would survive. This morning an infection set in and a second operation was needed. Gangrene was found and her intestine's were removed along, with parts of other organs. This was a very radical surgery that has just been completed--and medical teams are fighting right now to keep Jill alive. Jill is currently in a hospital near Kansas City, in intensive care, on a ventilator, and is in extremely grave condition. Doctors say if she survives she will need an intestine transplant. Jill travels the world speaking and teaching and ministering the Gospel with signs and wonders. She is also an author and has written for LDM. Click here to read her powerful LDM article if you want to get sense of her heart. Please pray fervently for Jill. Pray for the doctors to have wisom and for Jill’s spirit to rise-up and fight! Help her with your prayers to contend for her life. Jill has given her heart to others for decades. Now she needs all OUR HEARTS with urgency of prayer. I’ve been asked by the International House of Prayer Kansas City (IHOPKC) to take a few minutes at their Forerunner Christian Fellowship (FCF) church services tomorrow -- to share about my friend and her impact on my life. Jill was such a dear longtime friend and I am deeply grieved, but I want to honor her and represent what her heart was all about -- and there is so much that could be said. I need God’s help to do this so please pray for me to have His anointing. FCF streams free live webscasts of their church services so you can watch if you want. Jill lived here for many years and was closely knit into the IHOP family... everyone is brokenhearted. I know you will be encouraged by the worship and Mike Bickles always powerful message. …I have refrained from saying such things in the past, but I can no longer do so, because untold people are being spiritually damaged by what is going on. Please understand my heart in this. For the same reason I also need to warn you about another ‘prophetess’ who is often featured on the Elijah List. Her name is Jill Austin and I have personally witnessed her ministry in action. I would describe it as one of the most disturbing (by far) meetings that I have ever been in. There was definitely a strange “power” operating, but it certainly did not seem like God to me. She is also an expert at ‘hyping’ an audience. Please be very careful in such environments, my friends. -You can end up taking part in things that you would never normally do, just because you are part of a large crowd. Written by a genuine "Insider," this is the true story of one of the most frightening "invasions" in the history of the church - and the fight to keep it out. Andrew Strom has been part of the Charismatic movement for over 25 years - and was deeply involved in the modern "Prophetic" movement for 11 of those years… In this book, Strom traces this mass invasion of false spirits back to 1994, and shows how it culminated in the bizarre events surrounding Todd Bentley and the Lakeland revival in 2008. What are 'Kundalini' spirits? What are the signs of their presence? And how can such an invasion be turned around? All this and more is discussed in this provocative book. "A 'MUST READ'" - The Voice Magazine. 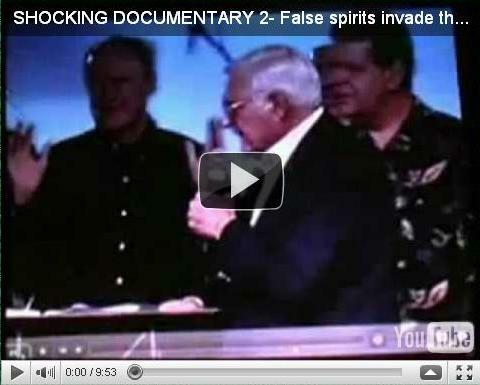 "The church of Jesus Christ does not realize that it has been infiltrated by demonic forces. Discernment has been lost! A book that is beyond needful." - Greg Gordon, SermonIndex. Shockingly graphic, but true! In fact it was shortly after receiving Melody Green’s email announcing Jill Austin’s death that the Lord told me she’s not with Him in Heaven. Jill Austin’s ministry was all about “signs and wonders”, but the spirit behind them was definitely not of God. Demonic spirits used Jill Austin in a mighty powerful way, and now Jill Austin is receiving her just rewards in Hell. It has come to our attention that you are publishing the tracts entitled “The Catholic Chronicles” on your Web Page which were originally articles in The Last Days Magazine. We understand your desire to put your point of view on the Internet for others to read, but we hope you are aware of the fact that you do need copyright permission to use any of our materials on your own Web Site. Perhaps you think that these materials are Public Domain, but this is not correct; we still own the copyrights and when others use it without permission, this jeopardizes our copyright control. Since we maintain our own Web Page (“www.lastdaysministries.org”) which contains all of the tracts currently available, we usually give permission to put a link from your Web Page to ours, highlighting any particular tract (after permission is requested). However, several of our tracts -- including the “Catholic Chronicles” -- have been discontinued. We feel that we would not have discontinued these tracts if it was not the Lord’s leading and, in keeping with the spirit of these decisions, WE DO NOT GIVE PERMISSION FOR ANYONE ELSE TO REPRINT THEM OR MAKE THEM AVAILABLE FROM ANY OTHER SOURCE. As Christians, we know that you would not consciously use materials without permission as this would be against the whole spirit of your Christian outreach. We appreciate your desire to share with those who do not know the Lord Jesus but, as Keith said in his introduction to the Catholic Chronicless series, “we know of many loving, committed and sincere believers among their ranks...” Even when we were distributing the Catholic Chronicles, we sent a notice along with every order making it clear that we did not want these tracts to be used for general distribution; they were ALWAYS meant to be used on a personal one-to-one basis. No Christian group is excluded from inconsistency between their written creed and what is practiced or preached from the pulpit. If we consistently emphasize the differences in theology between groups, we will lose the ability to share in the “more excellent way” described in 1 Cor. 13. We hope that you will consider this as a direct request to cease publishing any of our tracts, and more particularly the “Catholic Chronicles” and any others which have been withdrawn. Please look up our Web Site and if there are tracts that you wish to use as part of your own outreach, you can link our Web Site to yours (after receiving permission, of course). We hope you accept this letter in the love with which it is meant. 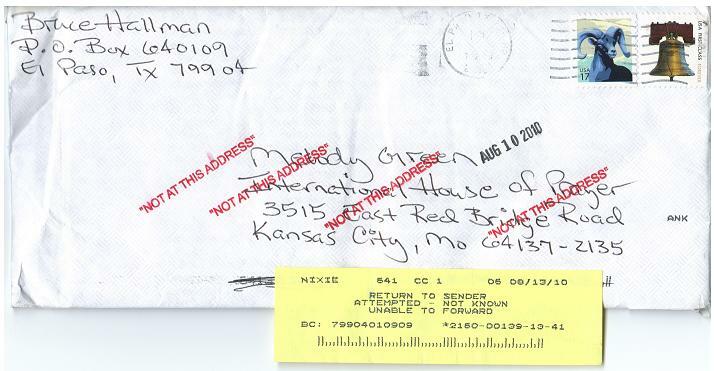 So, let there be no confusion about it; the preceeding LDM letter was from “the Devil”. And seeing how the Lord God Almighty was the One who told me to post “The Catholic Chronicles” on the FMHCCI Web site for the whole wide world to read, it only makes sense that “The Catholic Chronicles” remain posted. I mean, after all, that’s what Keith Green wanted… and more importantly, that’s what the Lord told me to do! So, we’ve determined that Melody Green is in a spiritual mess – in bed with the Roman Catholic Whore - but will she ever recover? I mean, after all, she has blasphemed her late husband’s name by associating it with the “ecuminical YWAM” and the “Keith Green 28/28/28 Live To The Nations” Web broadcast… and that’s only the most recent example of it. And just to think, Melody actually wrote the book entitled “No Compromise”! Thank you Andrew Strom for that word! We pray that Melody Green will wake up to it’s truth and change her un-repented heart concerning “The Catholic Chronicles”. In response to your question, I truly love Andrew and have prayed and wept for him. He was here to pray for me when I needed it and I have felt a debt to him for that. 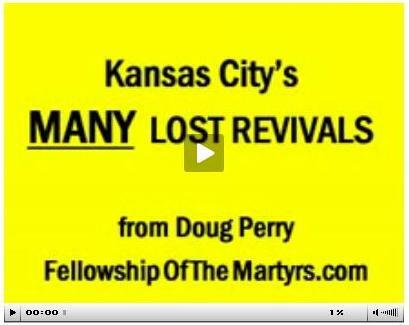 He was the one that introduced me to a large degree to the prophetic history of Kansas City and his site helped educate me about past revivals and the urgent need for another. That said, Andrew, by his own testimony, was sent by God to Kansas City to bring revival. He was critical of Mike Bickle and, on some level, knew that he was to pick up the pieces of the failed revival/restoration in the 1980's. But he was too prideful, too unwilling to hear rebukes and concerns, quick to dismiss and marginalize anyone that was also planted here, and generally doesn't really hear the voice of God directing all his steps. At the 2nd "John the Baptist Conference" in Kansas City (Spring 2006), I privately told him that he was supposed to be helping restore Kansas City, not leading conferences everywhere else - and that if he didn't get about it and start playing nice with others, that God was going to rotate him out and replace him. He ejected me from his conference on the spot and continues to refuse to see how God might be working anywhere but in HIS ministry. And yet the Lord confirmed my words to him, as within weeks he left Kansas City, bemoaning the dead ground and lack of support he got, and moved to Wisconsin- then Arizona, then Southern California and then back to New Zealand, as far from Kansas City as you can get. By his words and his inaction, he has done a lot of harm to me personally and to the work of God in Kansas City. He could be a real help, but he won't see that God is moving through others because he missed the boat. He is a revival historian. That's not what he is supposed to be, but that's what he is at the moment. He regurgitates the anointed words of others and even his own writings are mostly shaped by news articles and economic data and the prophecy of others. I find precious little personal revelation that is real RHEMA. As for the Red Dragon , he is showing all the signs of someone that is supernaturally unable to listen and see outside of his own silk covering. He is doing his dance and chasing his own "pearl" and isn't playing nice with others. I just leave him to God. It's been really sad to watch. But there is no way to talk somebody out from under a Red Dragon delusion. Until the Lord opens their eyes and pours out repentance, there's no hope. I don't expect people to believe me. 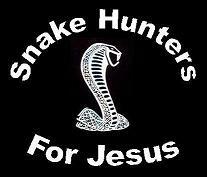 They need to take it to the Lord and see what HE says. I expect that the Lord will back me up sooner or later. God is moving in Kansas City and my words to Andrew were proven true. He's as far from Kansas City as you can get (physically and spiritually). And if this is all that he said that it was prophecied to be - the site of the last great revival - then why isn't he HERE? Sincerely, I love him and have begged for him to be restored and get his head on right. He keeps giving quotes and exhortations that he himself isn't living by - and then mocking those who actually ARE losing or surrendering all, crying and groaning, sharing with the poor, living in community and all the other stuff he says needs to be done - and we have been DOING here for years. I pray that he will be full of the love of God and tenderness toward the saints, because right now, I sure don't feel like he is. I pray the Lord will keep His own and restore His Bride. I pray that Andrew will open his ears and hear that God is moving just as God said that He would. I pray that Andrew would repent for the hardness of his heart and his harshness toward LOTS of the saints that he has crawled over, dismissed, marginalized, insulted and otherwise demeaned and hurt. Well, there you have it: “Melody Green Blasphemes The Name Of Keith Green!” It’s been a long time coming, but now it’s done. Take that Devil!